Sheffield’s inner-city music festival, Tramlines, has made the shortlist for two UK Festival Awards – Best Medium Sized Festival and Best Metropolitan Festival. These nominations come hot on the heels of Tramlines’ 10th anniversary event, staged at Hillsborough Park from 20th – 22nd July. Votes can now be cast until 30th October 2018 at www.festivalawards.com. Winners will be announced at the annual UK Festival Awards ceremony, which this year takes place at the Troxy in London on 6th December. Previous winner of the UK Festival Award for Best Metropolitan Festival in 2011, the genre-spanning Tramlines has grown in size and stature ever since. 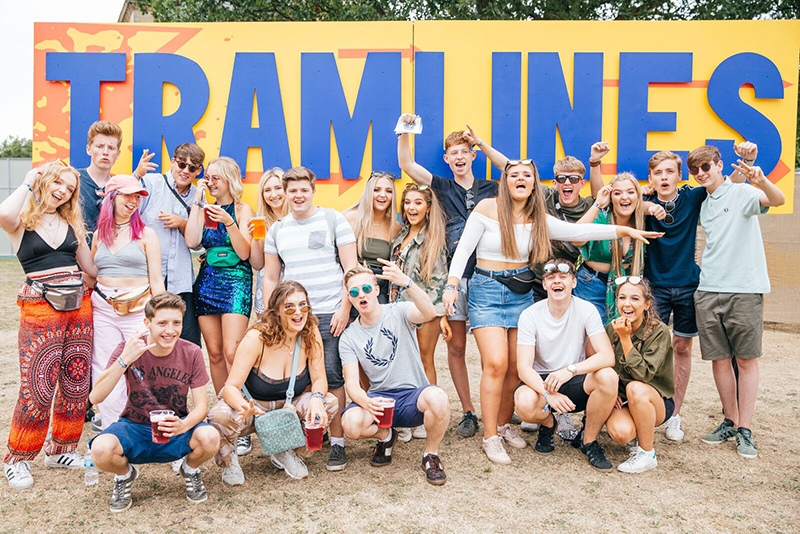 The 10th edition saw Tramlines move from a multi-venue format that spanned three of Sheffield’s best parks, to a single green-field site on Hillsborough Park where a record number of tickets were sold (30,000). Scaling down to one single site meant more talent budget for the festival resulting in its biggest lineup yet. Over four stages of music and a fifth new and improved ‘Into The Trees’ area which staged a pop-up cinema and family entertainment, guests enjoyed storming performances from Stereophonics, Noel Gallagher’s High-Flying Birds, Craig David’s TS5, Clean Bandit, Blossoms, De La Soul, Stefflon Don, Jake Bugg, Mabel and many more. 2018 also saw the introduction of the festival’s debut comedy lineup, programmed and staged by Sheffield institution, the Leadmill. By day, the stage featured performances from Henning Wehn, John Shuttleworth, Bethany Black, Tom Stade, Tom Wrigglesworth and Jarred Christmas, and by night, a plethora of musical talent curated by the Leadmill and Reverend and the Makers’ frontman, Jon McClure, featuring Tom Grennan, Rat Boy, Palace and Spring King. To vote for Tramlines in the UK Festival Awards head to the UK Festival Awards website at www.festivalawards.com and hit the ‘Vote Now’ tab, before Tuesday 30th October 2018. Find out who takes home the gongs after the ceremony on 6th December 2018 by following the UK Festival Awards on social – www.facebook.com/festivalawardsltd.